Saitama Prefecture's western region, about one hour by train from central Tokyo, offers every hands-on Japanese tea-making experience for visitors: from tea-leaf picking to the production process of tea and matcha (powdered green tea) products. Lies within easy access from central Tokyo, Sayama is the region having the largest tea plantation in Saitama Prefecture. The tea produced in this region is called Sayama-cha or Sayama tea which has been a tea brand with history over 800 years. Blessed with the climate, the tea trees grown in the region have thick leaves, and it brings the tea a deep, rich flavor. Also, the traditional production method adds sweetness to the tea. 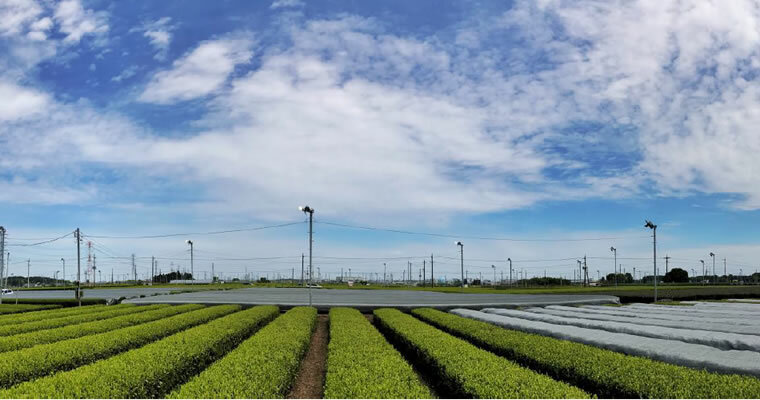 In the Sayama region, including Sayama City and Iruma City, there are tea gardens which offer tea-leaf picking experiences as well as tasting quality Sayama tea. Taking a train from Shinjuku or Ikebukuro in central Tokyo, you can visit the garden and have the unique experience on a one-day trip. Visit tea gardens and cafes in Sayama and explore the Sayama tea. The change in the seasons from spring to summer at the end of April marks the beginning of tea-leaf picking (tea harvesting) season. Enjoy the delightful weather and experience the rich aroma and flavor of freshly made tea, all while surrounded by the vivid green of the tea plantation, where you can pick your tea leaves among the healthy budding plants. We look forward to welcoming you to Saitama Prefecture to enjoy this special activity unique to Japan. At Miyano-En you can enjoy hands-on tea-leaf picking between May and October, during which time new tea leaves begin to sprout and grow. After being picked, your tea leaves will be processed and canned so that you can take them home with you. Visitors can also attend tea-brewing seminars and enjoy green tea-leaf tempura made from their fresh, hand-picked leaves: a taste like no other. As part of the Matcha-tasting Experience, you can enjoy making your matcha (powdered tea) by grinding whole green tea leaves into a fine powder and then relax with your freshly brewed cup of matcha tea. As an optional service, you can wear traditional Japanese tea-harvesting attire. 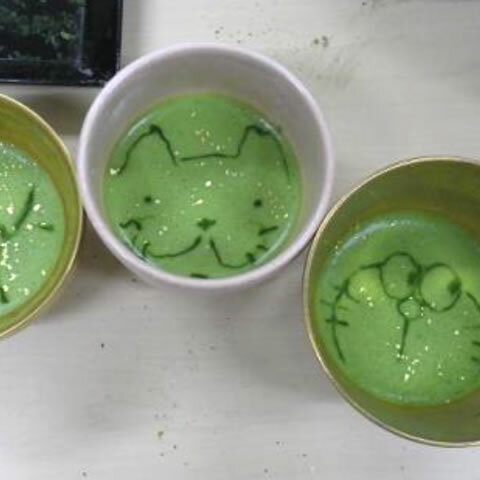 Try your hand at matcha tea art! *Please book by phone or E-mail in advance. 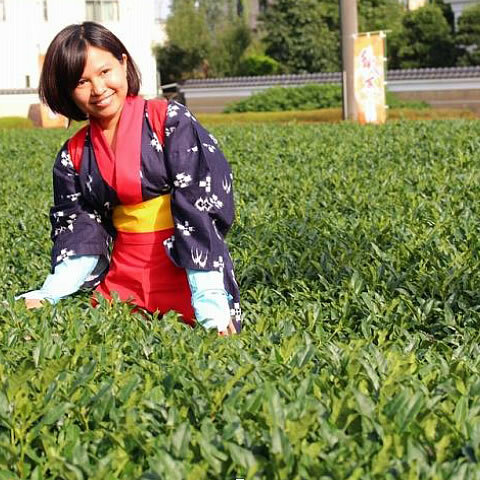 Green tea picking experience is held between early May and late October (only fresh green tea season). *The store opens basically 365 days. From Iriso station, it is about 10 minutes by taxi or about 40 minutes on foot. From Sayama-shi station, take a bus bound for Danchi via Sayama-Minami and get off at Sayamadai Minami, about 10-min on foot from the bus stop. Note: Tea-leaf picking experience may be canceled in case of bad weather. Musashi Rikyu is a tea café established in a traditional Japanese tea shop and run by the owner of a tea plantation. 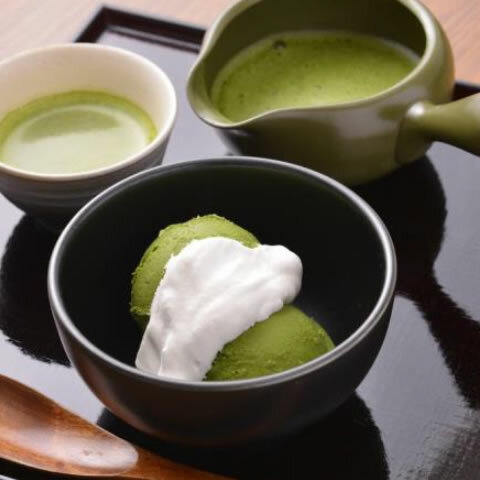 Here you can enjoy rich, full-flavored matcha sweets and treats. Restaurant Issen, located within the Iruma City Museum (ALIT) grounds, is highly popular for serving dishes flavored with Sayama Tea as well as lunch and dinner sets which incorporate green tea and Japanese sweets. The restaurant offers hands-on tea-making and tea-leaf picking experiences, and visitors can rent traditional Japanese tea-harvesting attire. Large groups are also welcome! 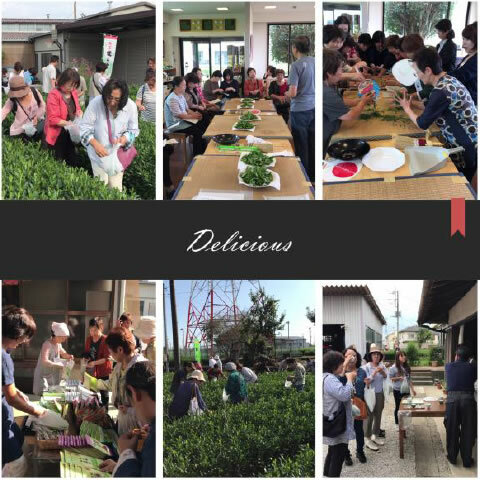 Green tea picking experience is held between late April and late October. Language help in English and Chinese will be available when booking by phone. Some other languages are also if reservation made in advance. 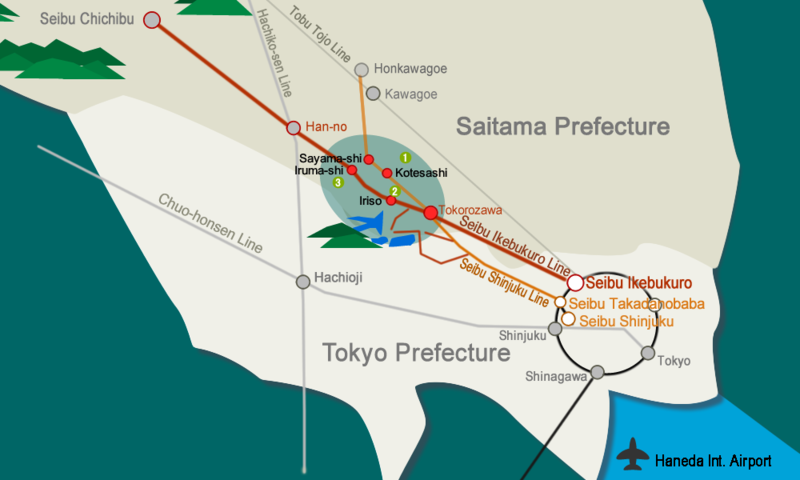 From Seibu-Ikebukuro station, take a train, then get off at Iruma-shi Station.